If you want I have provided a quick tutorial for deactivating your Betterfly account at the bottom of this blog post...it appears that it is not currently possible to actually delete an account and that you can only deactivate it. Update 09/10/2012 @ 3:30pm: I have been contacted by Betterfly and have received confirmation that this was purely is mistake by their system which auto-generated this action and was experienced by more than just me. They have corrected the problem and have deleted the pages that were auto-created. So this was annoying but I will give them credit for addressing this very quickly...so well done Betterfly on the damage control. "Better makes people happy", well it is safe to say that I am not at all happy with Betterfly's decision to overstep and create a Facebook page in my name without my permission or knowledge. Google Alerts is an AWESOME service that I will write about in more detail in the future but today I learned (thanks to Google Alerts) that the website Betterfly.com decided to do a bit of overstepping by creating a Facebook Page in my name...without my permission or even informing me of it. 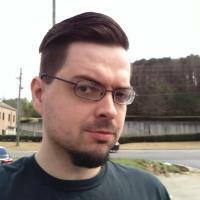 The Facebook page, viewable at https://www.facebook.com/pages/Michael-Tunnell-Operating-Systems-Guide-Trainer-in-Birmingham-A/392990590754804, was made without my concent or even knowledge. Even if this thing was in their "EULA" or added to it at some point, this is still not an acceptable thing for any company to do...creating profiles/accounts/pages on another site on behalf of their users without their concent or knowledge of such an action is just appalling for any company to do. Even if they are "just trying to help". I did some research about this new "feature" of overstepping to see when it happened (info found thanks to Facebook, never thought I would thank Facebook for anything), why it happened and if there were any way for me to gain control over the page via my Betterfly account. 1.) When was this page made? According to the Facebook page, it was created on August 31st, 2012. 2.) Why did this happen? This seems to be a "service" provided by Betterfly which can be found at http://tools.betterfly.com/fb-stn-pro-em/ - the interesting thing is that this service is "FREE" until May 7th, 2012 yet I never signed up and was "given" this page on August 31, 2012...so do I now somehow owe them some money for this "service"? 3.) As it turns out, there is no way (that I could find) that granted me access to administer "my" Facebook page from the Betterfly website. I also found a page where they offer to make you profiles on MANY different websites, http://betterfly.com/discovery/dashboard - they justify this as a "service" by claiming this is all for business profiles/pages/listings/etc ignoring the fact that all of these websites offer the user to create everything for FREE themselves. It appears that Betterfly.com is just spamming various sites in the name of their users in order to get their rankings, linkbacks, etc higher. I find this incredibly appalling. I have sent an email to Betterfly.com staff to find out further why this was done, will they take it down if asked to or at the very least provide me the access to administer "my" Facebook page. Have you had this happen to you via Betterfly or anyone else? 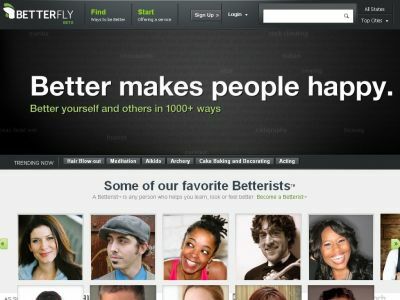 What do you think about the actions taken by Betterfly? Am I just overreacting?